The race to replace Saskatchewan Premier Brad Wall grew by two this week with the entry of the province’s top civil servant and a veteran MLA. Alanna Koch, the premier’s former deputy minister, and former parks minister Ken Cheveldayoff joined former social services minister Tina Beaudry-Mellor, former economy minister Jeremy Harrison and former justice minister Gord Wyant in the race. “I don’t intend to distance myself from what the government’s done. I’ve been working with the government and so I absolutely believe in what Brad Wall has been doing,” Koch said when she made her leadership announcement at a farm just south of Regina. Koch has also been executive director of the Western Canadian Wheat Growers, president of the Canadian Agri-Food Trade Alliance and deputy minister of agriculture. Saskatoon-based Cheveldayoff was first elected in 2003. Since the Sask. Party took power in 2007, “Chevy,” as he is known by family and friends, has been minister in several portfolios including Crown corporations, enterprise, trade, environment and, most recently, parks, culture and sport. Cheveldayoff said he grew up on a farm in Blaine Lake and feels he is best for both rural and urban Saskatchewan. “My rural roots and urban strong background have provided me with the passion and desire to serve the people of Saskatchewan,” he said in Saskatoon. Also on Monday, the government said Scott Moe had resigned as environment minister and indicated he would have an announcement later this week. 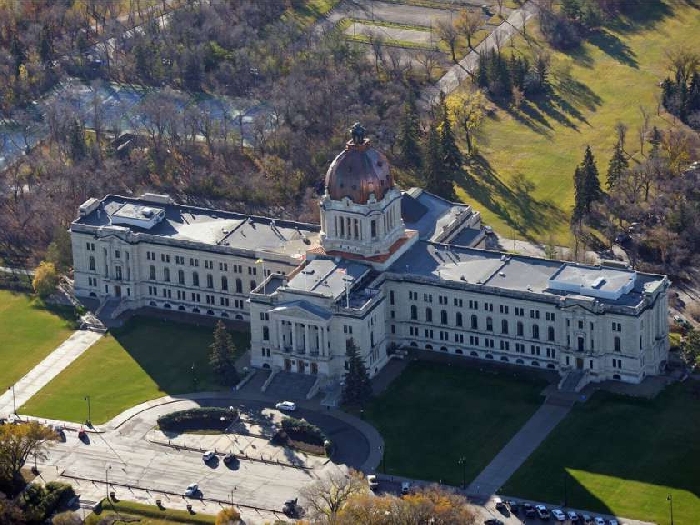 The Saskatchewan Party has said the nomination filing deadline for candidates is Nov. 24. However, Wall had requested that all cabinet members and senior bureaucrats resign from their posts by Monday if they wanted to make a leadership bid. The party is to elect a new leader – who will become premier – on Jan. 27. Wall is stepping away from politics after 10 years as premier. He has said the province and the party will benefit from a fresh perspective.